Grumpy Cat hates pretty much everything: morning, purring, Christmas, your stupid face. 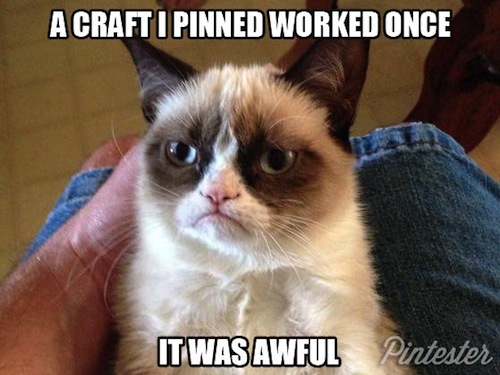 Turns out Grumpy Cat also hates Pinterest, crafting, and life in general. Ohhh, I printed out a grumpy cat picture and posted it at the nurse’s station at work, in front of a particularly grumpy nurse. Freaking love grumpy cat. This reminds me of you! It’ s a girl cat 4 sho.